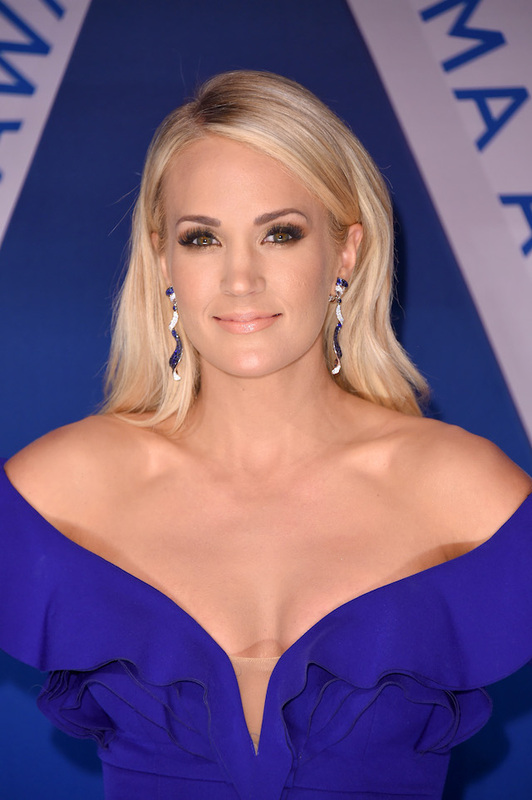 Carrie Underwood looked gorgeous when she hit the red carpet in Nashville, Tennessee Wednesday in a striking off-the-shoulder cobalt blue gown. The co-host of the evening completed the stunning look with her hair down and silver drop earrings. 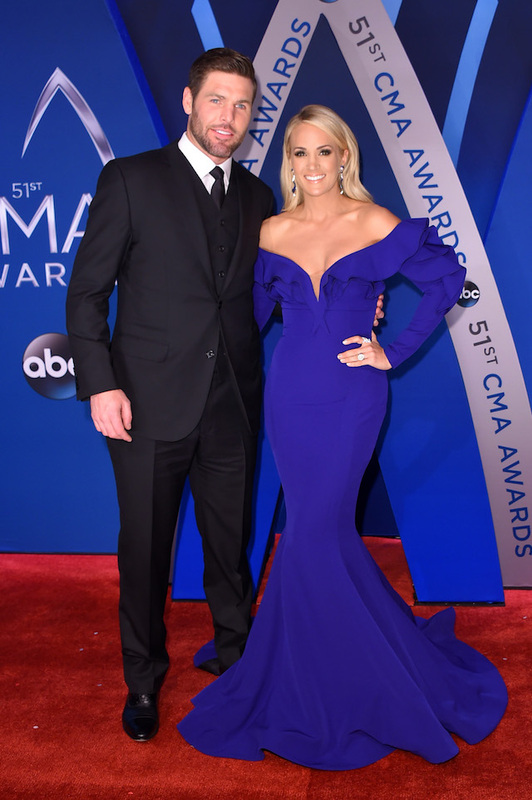 She is set to host the show once again with country singer Brad Paisley. 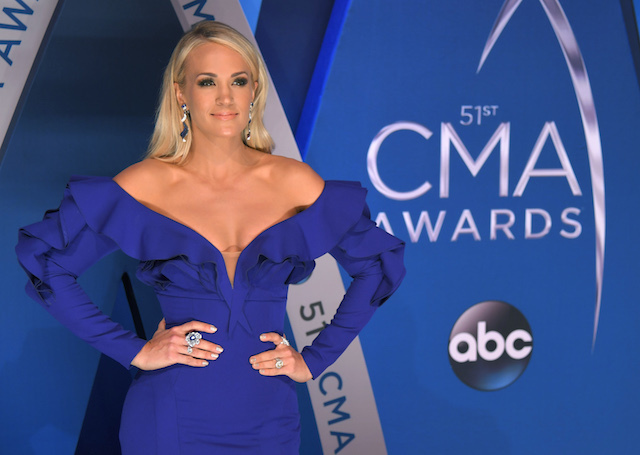 If last few years of shows are any indication, fans can expect to see the “Blown Away” singer have multiple stunning wardrobe changes throughout the night.